Why didn’t you fix it? I didn’t know it was broken! Firstly, to parents and students past and present I want to apologise if I failed you. I am human, I err and make mistakes. What I like to think I do, once I am aware of an area that needs addressing, is try and correct it. The first part of fixing a problem, Is knowing there is a problem! If I am unaware there is an issue, I can’t fix it. Please don’t let a problem fester it will become bigger and bigger until it explodes. I am more then approachable, as all instructors should be. We are here to help! Gone are the days where the instructor shouts from the front of class etc, or at least that’s not how I want to conduct my classes. Scaffolding, the instructor build upon on what the students already know so they can synthesise the new information and take ownership. In the field of education, the term scaffolding refers to a process in which teachers model or demonstrate how to solve a problem, and then step back, offering support as needed. Psychologist and instructional designer Jerome Bruner first used the term ‘scaffolding’ in this context back in the 1960s. The theory is that when students are given the support they need while learning something new, they stand a better chance of using that knowledge independently. Bruner recommends positive interaction and three modes of representation during teaching: actions, images, and language (Scaffolding in Education: Definition, Theory & Examples, n.d.). Inquiry method, where the student is at the centre of learning and the instructor a guide. The student is at the centre of learning. Students ask questions and search for answers while practicing. Effective inquiry is more than just asking questions. A complex process is involved when individuals attempt to convert information and data into useful knowledge. Useful application of inquiry learning involves several factors: a context for questions, a framework for questions, a focus for questions, and different levels of questions. Well-designed inquiry learning produces knowledge formation that can be widely applied (Inquiry-based Learning, n.d.). Understanding where our students are and why are important for student, instructor and parents alike. Collaboration is another way for the students to learn from each other. Asking and answering questions in a group. Student modelling, where a more experienced student can assist the inexperienced student. Collaboration is a wonderful teaching tool. Teachers have the opportunity to assess and differentiate instruction for students more readily and they can learn new instructional techniques from one another to expand their teaching repertoire. Cooperative teaching experiences also provide mutual support and assistance for planning and implementing lessons, assessing students’ progress, sharing professional concerns, and addressing students’ learning needs. Most importantly, teaming allows more opportunities for students to understand and connect with content thereby maximizing individual learning potential (What is Collaborative Teaching?, n.d.). Simply put if you lack attendance it will be very difficult to learn. There is no substitute for mat Tim and repetition. Get excited, the mind set has to be detailed oriented. Don’t be bored of the basics. If you can’t do the basic you can’t do the advanced. Being over confident can lead to arrogance and that can lead to believing in your own hype. There is someone bigger, faster, stronger and more athletic then you! and they are training hard. what are you doing to beat them? Lack of confidence can be stifling, you second guess yourself, then can over analyse. just do it. yep like the slogan, get it done then reflect and self analyse. Yep you! Hard to hear and hard to believe! But at times enabling student to not attend training because they are tired, then are full of energy playing the PlayStation. Your enabling your child to get out of their commitment to training, and setting them up to fail. Same goes for when they are sparring, if they cop a knock and it’s not an injury, they will look at you and sometimes want to cry! Resist the edge to mother and Dote on them. It’s reinforcing that emotional response. We want them to be resilient, be able to defend themselves as hard it can be you need to say “your ok, get back on the mats”. 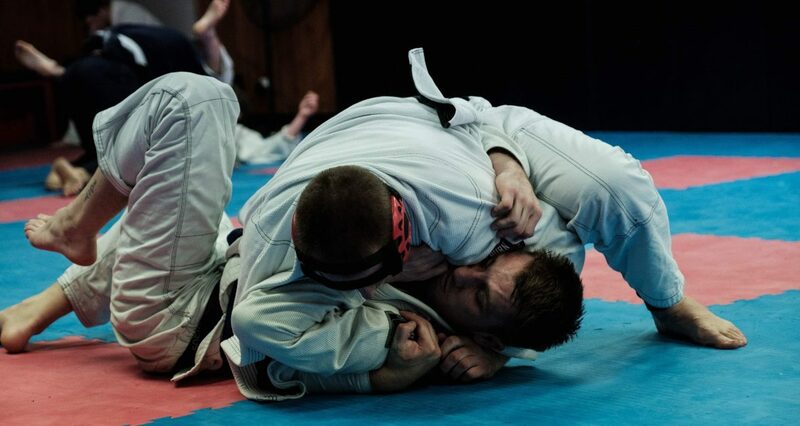 Encourage your child to stay on the mats, when given time to practice themselves and you see them wondering off to grab a drink or have a chat. Encourage them to get in with the task set for them. Hard work pays off! Questions are encouraged! Please if you don’t understand something, ask! Parents/Carers, I have said a number of times if your happy with what we do, tell everyone! If your unhappy tell me! I can’t fix it if I think it’s not broken! We are a team! the student, instructor and parent each play a role. It’s not just a spoon fed information and your good to go. We are all part of the learning experience. Sometimes I drop the ball! No ones perfect. But we all must be in this together. We all must be engaged for the learning process to work. Next postWorld Champion! Now what?